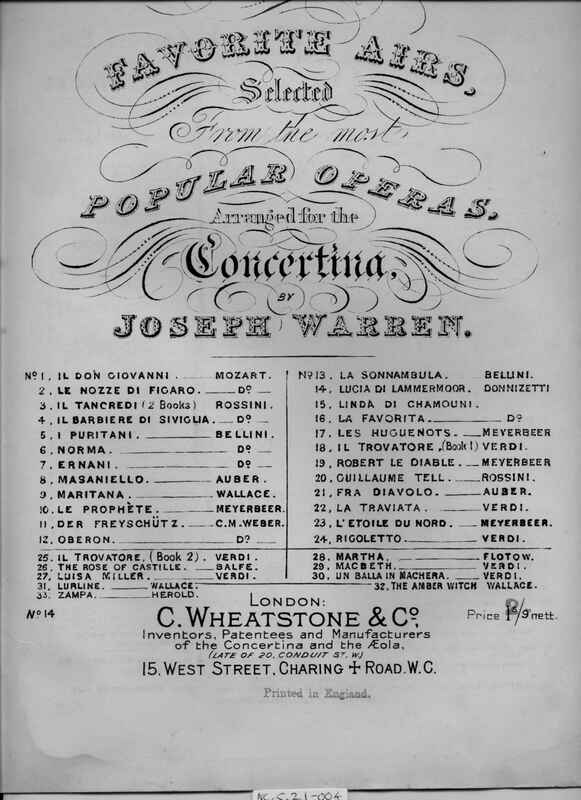 Full Description: A large folio edition of “Favourite airs selected from the most popular Operas, arranged for the Concertina by Joseph Warren – No 14 – Lucia Di Lammermoor”. One of the thirty-three Arrangements published by C Wheatstone & Co (late of 20 Conduit St, W), this bearing their Number 1614, and with a revised price of 2/- overprinted on the original 1s 9d. 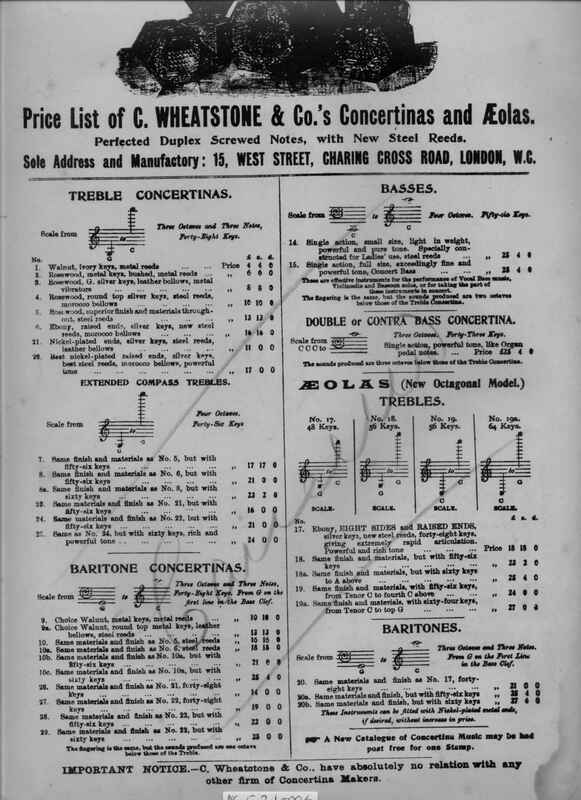 All of the selections in the series are listed on the front cover; the rear cover has a detailed listing of all of Wheatstone & Co’s Concertinas (scribbled upon with “cancelled” in Harry Minting’s hand, since these prices rapidly became out-of-date). It measures 260 x 358mm.